A Canadian artist, Gordon Milne was born in Hamilton, Ontario in 1953. He attended McMaster University where he studied printmaking and sculpture. The Canadian Sport Heroes Collection is a commissioned series of large-scale portraits celebrating the achievements of remarkable Canadian Olympians. Currently comprised of 16 paintings the Collection was unveiled during the 2010 Vancouver Olympics and can be seen in Canada's Sports Hall of Fame. This ongoing collection of portraits has been achieved with the generous support of the Canadian Sport Institute Calgary, ARC Energy Trust, BMO Financial and Alberta Culture. The Sport Legacy Collection, a visual tribute to Olympic sport, is a series of six smaller paintings which were commissioned by the Canadian Sport Institute Calgary. The original paintings can be seen in Canada's Sports Hall of Fame while reproductions of these paintings are hanging in the Calgary International Airport. Gordon has also enjoyed a long-term relationship with the Alberta Ballet where he regularly attends classes to draw this group of dedicated dancers. Milne has completed major portraits of several iconic Canadian dancers (including National Ballet of Canada artists Sonia Rodriguez, Rex Harrington and Frank Augustyn) as well as an ongoing series of paintings celebrating movement in dance and athletics. In 2017 Alberta Ballet hosted an exhibit of Gordon’s paintings of dance and dancers in celebration of their 50th Anniversary entitled Painting en Pointe. 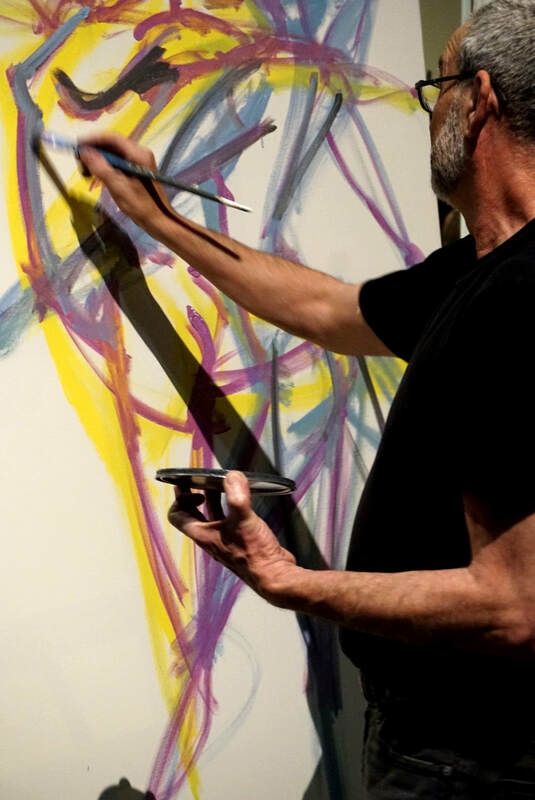 In addition to these ongoing projects Gordon has completed a number of private commissions, participated in several group projects and has work included in the Alberta Foundation for the Arts.